We take the privilege of hosting International Hypertension meetings worldwide and very excited to expand to Europe. Previous meetings Hypertension 2016 was held in Toronto, Canada and Hypertension 2017 was held in Amsterdam, Netherlands. With the valuable support of Organizing Committee Members, 4th International Conference on Hypertension & Healthcare planned to be held in the beautiful Zurich City, Switzerland which is small but well know country in the heart of Europe during September 10-12, 2018. Working under the theme “Control Hypertension: Add life to Longevity” we bring together a unique international mix of large and medium medical and clinical research and diagnostic companies, leading universities and medical research institutions. This is a perfect platform to share experience, foster collaborations across industry and academia and evaluate emerging innovations around the world. This conference mainly focuses on spreading the awareness about challenges in this field and how to prevent and manage hypertension and other cardiovascular diseases. Conference Series LLC through its Open Access Initiative is committed to create real and reliable contributions to the scientific community. Conference Series Ltd organize 600+ Conferences once a year across USA, Europe & Asia with support from a thousand additional scientific societies and Publishes 400+ Open access journals that contains over 30000 eminent personalities, putative scientists as editorial board members. Encounter the target market with members from across the globe, committed to learn about hypertension treatment and management. This is the best opportunity to outreach the largest gathering of participants from around the world. Conduct presentations, distribute and update knowledge about the current situation of hypertension treatment and receive name recognition at this 3-days event. World-eminent speakers, most recent researches, latest treatment techniques and the advanced updates in Hypertension Management are the principal features of this conference. Encouraged with the success of hypertension conference series, we bring up the 4th International Conference on Hypertension and Healthcare with its powerful 3-days agenda. Hypertension 2018 is designed to take place at the beautiful Zurich in the Switzerland during September 10-12, 2018. Hypertension, additionally called as high vital sign or blood vessel cardiovascular disease could be a chronic medical condition during which the blood pressure within the arteries is elevated. This session mainly covers the different types of hypertension and their assessment. Isolated systolic hypertension, resistant hypertension are all recognized hypertension sorts with specific diagnostic criteria. A sphygmomanometer, is a device used to measure blood pressure, composed of an inflatable cuff to collapse and then release the artery under the cuff in a controlled manner, and a mercury. Globally, the overall prevalence of raised blood pressure in adults aged 25 and over was around 40% in 2010. Because of population growth and ageing, the number of people with uncontrolled hypertension ranges from 600 million in 1980 to nearly 1 billion in 2010.The national Million Hearts initiative endeavors to increase the number of persons whose hypertension is under control, by 10 million, as part of its goal to prevent 1 million heart attacks and strokes by the year of 2018. 20th European Cardiology Conferences, October 16-18, 2017 Budapest, Hungary, 22nd World Cardiology Conferences, December 11-12, 2017 Rome, Italy, 23rd European Heart Failure Congress, February 19-21, 2018 Paris, France, 3rd Cardiovascular Conferences, July 05-06, 2018, Berlin, Germany, 3rd World Heart Congress, April 19-20, 2018, Amsterdam, Netherlands, 26th Cardiology Case Reports Conferences, July 05-06, 2018, Berlin, Germany, Heart Surgery & Cardiology Conferences, September 21-22, 2017 San Antonio, Texas, USA; Heart Conferences, December 04-05, 2017 Dallas, Texas, USA, 25th Euro Congress on Pediatric Heart Disease and Health, August 13-14, 2018 Dublin, Ireland; PCR London Valves 2017, September 24-26, 2017, 13th Asian-Pacific Congress of Hypertension, October 15-18, 2017, 4th International 4 Corners of Cardiology Meeting 2018, February 09-10. 2018, National Cardiology Conferences, USA EHRA Congress 2018, March 18-20, 2018, Barcelona, Spain, Frontiers in Cardiovascular Biology2018, April 20-22, 2018, Heart Failure 2018, May 26-29, 2018, Euro Heart Care 2018, June 07-09, HKSTENT-CICF 2018, Hong Kong. Europe: Austrian Heart Foundation, British Cardiovascular Society, British Heart Foundation, British Hypertension Society, Irish Nurses Cardiovascular Association, European Society of Hypertension, European Stroke Organisation, Albanian Society of Cardiology, Bosnia and Herzegovina Society of Hypertension, Belorussian Scientific Society of Cardiologists, British Association of Nursing in Cardiovascular Care, Russian Antihypertensive League, Heart Foundation of Botswana, Hellenic Society of Hypertension, British Association of Critical Care Nurses, Cardiology Society of Serbia, Sudanese Hypertension Society, Swedish Society of Hypertension, Stroke and Vascular Medicine, Estonian Society of Cardiology, Georgian Society of Cardiology, Irish Heart Foundation, Lebanese Society of Nephrology and Hypertension, Luxembourg Society of Cardiology, Danish Society of Hypertension, Latvian Society of Hypertension, Moldavian Society of Cardiology, Montenegro Society of Cardiology, Moroccan Society of Cardiology, Norwegian Society of Cardiology, Saudi Heart Association, Netherlands Society of Hypertension, Portuguese Society of Hypertension, Slovenian Society of Cardiology, Spanish Society of Hypertension, Swedish Society of Cardiology, Zurich Heart House. Renovascular hypertension (RVHT) reflects the causal relation between anatomically evident arterial occlusive disease and elevated blood pressure. The coexistence of renal arterial vascular disease and hypertension roughly defines this type of nonessential hypertension. More specific diagnoses are made retrospectively when hypertension improves after intravascular intervention. At present, no sufficiently accurate, noninvasive, radiologic, or serologic screening test is available that, if negative, completely excludes the presence of renal artery stenosis (RAS). This category includes the following sub topics: kidney failure, nephrotoxicity, Iga nephropathy, Alport syndrome, minimal change disease, kidney and anemia, inherited kidney diseases, medullary sponge kidney, advances in nephrology, renal histopathology, kidney stones, nephronophthisis, nephroptotic, clinical nephrology-general aspects, infection and renal disease. Pulmonary hypertension (PH) is a rise of blood pressure within the artery, vein, or respiratory organ capillaries, resulting in shortness of breath, dizziness, fainting, leg swelling and different symptoms. This type of hypertension that affects the arteries in the lungs and the right side of your heart, then it begins when tiny arteries in your lungs, called pulmonary arteries, and capillaries become narrowed, blocked or destroyed. This makes it harder for blood to flow through your lungs, and raises pressure within your lungs' arteries. As the pressure builds, your heart's lower right chamber must work harder to pump blood through your lungs, eventually causing your cardiac muscle to weaken and eventually fail. Pulmonary hypertension is a serious illness that becomes progressively worse and is sometimes fatal. Pulmonary hypertension worsens over time and is life-threatening because the pressure in a patient's pulmonary arteries rises to dangerously high levels, putting a strain on the heart. There is no cure for pulmonary hypertension, but several medications are available to treat symptoms. The various complications to related to pulmonary hypertension are congestive heart failure, blood clotting, liver disease, Lupus, Rheumatoid Arthritis, chronic bronchitis, HIV Associated Pulmonary Hypertension, and PH in Association with Sickle Cell Disease. Gestational hypertension or pregnancy-induced hypertension (PIH) is the development of new hypertension in a pregnant woman after 20 weeks’ gestation without the presence of protein in the urine or other signs of preeclampsia and eclampsia. Gestational hypertension is usually defined as having a blood pressure higher than 140/90 measured on two separate occasions, more than 6 hours apart, without the presence of protein in the urine and diagnosed after 20 weeks of gestation. There is no specific treatment, but is monitored closely to rapidly identify pre-eclampsia and its life-threatening complications. Drug treatment options are limited, as many antihypertensive may negatively affect the fetus. Methyldopa, hydralazine, and labetalol are most commonly used for severe pregnancy hypertension. The fetus is at increased risk for a variety of life-threatening conditions, including pulmonary hypoplasia (immature lungs). If the dangerous complications appear after the fetus has reached a point of viability, even though still immature, then an early delivery may be warranted to save the lives of both mother and baby. An appropriate plan for labor and delivery includes selection of a hospital with provisions for advanced life support of newborn babies. During gestational hypertension, a woman must be offered an integrated package of care, covering admission to hospital, treatment, measurement of blood pressure, testing for proteinuria and blood tests. Gestational hypertension in a future pregnancy ranges from about 1 in 8 (13%) pregnancies to about 1 in 2 (53%) pregnancies. Genetic changes and stress incontinence. Hypertension is the most prevalent and powerful modifiable risk factor for stroke. Persons with hypertension are about 3 or 4 times more likely to have a stroke. Hypertension remains the single most important modifiable risk factor for stroke, and the impact of hypertension and nine other risk factors together account for 90% of all strokes. The two major types of stroke include ischemic stroke (caused by blood clots), which accounts for 85% of strokes, and hemorrhagic stroke (bleeding in the brain), which accounts for 15% of strokes. Prevention of stroke is a major public health priority, but needs to be based on a clear understanding of the key preventable causes of stroke. Therefore, although the highest BP levels predict the highest relative risk of stroke, the conceptual pendulum has swung in the direction of the continuum of absolute BP levels and somewhat away from the construct of “hypertension”. Furthermore, as discussed below, recent evidence points to the fact that mediators of hypertension, such as Angiotensin II, may influence stroke risk independently of Blood pressure elevation. Diabetes mellitus (DM), commonly referred to as diabetes, is a group of metabolic diseases in which there are high blood sugar levels over a prolonged period. Serious long-term complications include cardiovascular disease, stroke, chronic kidney failure, foot ulcers, and damage to the eyes. Hypertension and diabetes are two of the leading risk factors for atherosclerosis and its complications, including heart attacks and strokes. There is substantial overlap between diabetes and hypertension, reflecting substantial overlap in their etiology and disease mechanisms. Cardiovascular risk factor prevalence study, only 42% of people with diabetes had normal blood pressure and only 56% of people with hypertension had normal glucose tolerance. Diabetes causes hyperinsulinemia and raises the risk of hypertension. This condition increases the amount of sodium that the body absorbs. It also promotes the stimulation of the sympathetic nervous system. This is thought to cause changes in blood vessel structure, which affects the function of the heart and blood pressure. Heart disease describes a range of conditions that affect the heart. Diseases under the heart includes blood vessel diseases, such as coronary artery disease; heart rhythm problems (arrhythmias); and heart defects you're born with (congenital heart defects), among others. Heart disease term is often used interchangeably with the cardiovascular disease. It generally refers to conditions that involve narrowed or blocked blood vessels that can lead to a heart attack, chest pain (angina) or stroke. Other heart conditions, such as those that affect your heart's muscle, valves or rhythm, also are considered forms of heart disease. Many forms of heart disease can be prevented or treated with healthy lifestyle choices. Heart disease is the study of the effects of drugs on the entire cardiovascular system, which includes the heart and blood vessels. The various complications to related to diabetes are Cerebrovascular disease, Inflammatory, Hypertensive heart disease, Ischemic, Rheumatic heart disease, Acute heart failure and Heart transplantation. The evaluation of patients with resistant hypertension should be directed toward confirming true treatment resistance; identification of causes contributing to treatment resistance, including secondary causes of hypertension; and documentation of target-organ damage. Accurate assessment of treatment adherence and use of good blood pressure measurement technique is required to exclude pseudo resistance. In most cases, treatment resistance is multifactorial in etiology with obesity, excessive dietary sodium intake, obstructive sleep apnea, and CKD being particularly common factors. Target-organ damage such as retinopathy, CKD, and LVH supports a diagnosis of poorly controlled hypertension and in the case of CKD will influence treatment in terms of classes of agents selected as well as establishing a blood pressure goal of <130/80 mm Hg. Most patients who present with elevated blood pressure (BP) will have essential (idiopathic) hypertension; extensive laboratory evaluation for secondary causes in these patients is low-yield and cost-prohibitive. However, identification of a secondary cause may often lead to a cure of the elevated BP or to a decrease in the number and/or doses of antihypertensive agents and a reduction in the long-term cardiovascular risks of hypertension. High blood pressure has several causative factors like age, race, case history and obesity, not being physically active, overwhelming tobacco, an excessive amount of salt (sodium) in diet, deficient Vitamin D in diet, drinking an excessive amount of alcohol, stress and bound chronic conditions. Though high pressure is commonest in adults, youngsters are also in danger, too. For a few youngsters, high pressure is caused by issues with the kidneys or heart except for a growing variety of youngsters, poor fashion habits, like an unhealthy diet, fleshiness, physiological condition and lack of exercise contributes to high pressure. Certain diseases and medications are specific causes of high pressure. Cardiovascular disease represents the leading reason for morbidity and mortality in Western countries, and hypertension-related vessel events have an effect on regarding 37 million individuals annually, worldwide. During this perspective, hypertensive patients are at hyperbolic risk to expertise vessel events throughout life-long period, and treatment of high pressure represents one among the foremost effective ways to cut back cardiovascular risk. Not being physically active and using tobacco. Hypertension, or high blood pressure, is the leading risk factor associated with death in the world but is largely asymptomatic and often undetected in patients. Hypertension is typically asymptomatic and only detected through opportunistic screening. Once hypertension has been diagnosed, further tests should be conducted, including urine testing, blood tests, an eye examination and a 12-lead electrocardiogram (ECG). Primary hypertension, in which no specific cause is found, affects 95% of patients. Blood pressure is expressed in terms of systolic blood pressure (higher reading), which reflects the blood pressure when the heart is contracted (systole), and diastolic blood pressure (lower reading), which reflects the blood pressure during relaxation (diastole). Hypertension can be diagnosed when either systolic pressure, diastolic pressure, or both are raised. Blood pressure is determined by the cardiac output balanced against systemic vascular resistance. The process of maintaining blood pressure is complex, and involves numerous physiological mechanisms, including arterial baroreceptors, the renin–angiotensin–aldosterone system, atrial natriuretic peptide, endothelin’s, and mineralocorticoid and glucocorticoid steroids. There is no specific treatment, but is monitored closely to rapidly identify pre-eclampsia and its life-threatening complications. Drug treatment options are limited, as many antihypertensive may negatively affect the fetus. Methyldopa, hydralazine, and labetalol are most commonly used for severe pregnancy hypertension. Drug treatments are available too for Hypertension. Optimal blood pressure control plays an essential role in the therapeutic management of RVHT. However, aggressive control of other risk factors for atherosclerosis also is crucial. Cessation of smoking is important for its positive impact on the cardiovascular risk profile in patients with hypertension. Similarly, antidyslipidemic therapy for those patients with hyperlipidemia likely provides benefit in atherosclerotic RVHT. Hypertension Reduction Therapy Devices externally stimulate carotid baroreceptors, which are located within the carotid sinus in the neck, using our hand-held therapy device with our patented cold tip. Cold temperature stimulation of the baroreceptors, at a precise temperature and duration, results in modulating the autonomic nervous system, stimulating the parasympathetic nervous system, and lowering the sympathetic drive, causing vasodilation and lowering of the heart rate. The sum of these actions results in immediate lowering of blood pressure. The fundamental goal of treatment should be the prevention of the important endpoints of hypertension, such as heart attack, stroke and heart failure. Patient age, associated clinical conditions and end-organ damage also play a part in determining dosage and type of medication administered. The several classes of antihypertensive differ in side effect profiles, ability to prevent endpoints, and cost. The choice of more expensive agents, where cheaper ones would be equally effective, may have negative impacts on national healthcare budgets. As of 2018, the best available evidence favors the thiazide diuretics as the first-line treatment of choice for high blood pressure when drugs are necessary. Changes in single nutrients—such as lowering sodium—have been the primary focus on dietary interventions to prevent and treat hypertension. However, weight reduction, adopting the DASH eating pattern (which emphasizes fruits, vegetables, low-fat dairy foods, whole grains, poultry, fish and nuts and is low in saturated fat, total fat and cholesterol) and engaging in physical activity have potentially the same or greater effect on managing hypertension as sodium reduction. The prevalence of hypertension is high and increasing worldwide. Drug therapy is effective, but for both "prehypertensive" and treated hypertensive patients, lifestyle changes are also important. Dietary modification is a key part of these changes, although skepticism about the role of diet in determining blood pressure has slowed implementation of the available guidelines. However, there is now a large body of evidence supporting a role for dietary salt, potassium, alcohol, and body mass in determining blood pressure. Studies such as PREMIER have shown that salt restriction (<6 g/d), alcohol moderation (<2U/d in men and <1U/d in women), weight loss (if BMI>25), exercise, and a DASH (Dietary Approaches to Stop Hypertension) diet (supplying 20-30 m.mol/d of potassium) can achieve decreases in systolic blood pressure of approximately 10 to 15 mm Hg when applied together. Of the dietary changes, salt intake remains the most amenable to change. But we must further reduce salt in processed food if it is to be part of a wider strategy to lower blood pressure in the general population. Nevertheless, the message to patients must be that dietary changes made within a concerted alteration in lifestyle can have a very significant impact on their blood pressure. Health professionals can assist clients to combine two or more lifestyle modifications to achieve even greater results. Nursing service administration is a coordinated activity, which provides all the facilities necessary for the rendering of nursing service to clients. Nursing service administration is the system of activities directed toward the nursing care of clients, and includes Nursing Leadership and Management the establishment of over-all goals and policies within the aims of the health agency and provision of organization, personnel, and facilities to accomplish this goals in the most effective and economical manner through cooperative efforts of all members of the staff, coordinating the service with other departments of the institution. Nursing service administration is the provision for continuous individual, group and community service, including whatever is necessary. In addressing the factors, which determine health, and to bring them back to self-directive activity towards their own health. The subsidiary objectives of this role are the professional activities of administration, including human relations, communications, teaching, research, and personal development, designed to further the primary objective-the optimum nursing care of patients. In this lecture note management and administration are used interchangeably. Threshold for Initiation of Treatment and Target Values, Assessment and Development of a Lifestyle Treatment plans are the major criteria for nursing management. Treating high blood pressure can take a multi-pronged approach including diet changes, medication, and exercise. Hypertension, or high blood pressure, is dangerous because it can lead to strokes, heart attacks, heart failure, or kidney disease. The goal of hypertension treatment is to lower high blood pressure and protect important organs, like the brain, heart, and kidneys from damage. Treatment for hypertension has been associated with reductions in stroke (reduced an average of 35%-40%), heart attack (20%-25%), and heart failure (more than 50%), according to research. Because hypertension rarely causes specific symptoms, it is not identified until an individual’s blood pressure is measured by a physician or it causes a catastrophic complication such as stroke or heart attack. Accurate diagnosisby blood pressure measurement is essential. Many advanced treatment approaches and medications have been established for the treatment and management of hypertension that may describe this session. To fully appreciate the complexity and challenges in interpreting hypertension trials, it is informative to review their evolution. The prospective, randomized, clinical trial has been the foundation for evaluating the effectiveness of blood pressure-lowering drugs. The duration of clinical trials rarely exceeds five years, and trials focus on so-called “hard end points”—notably, all-cause mortality and/or cause specific morbidity and mortality due to CVD, usually coronary heart disease (CHD) and/or stroke, but more recently heart failure (HF) as well. The early clinical trials had the advantage of being able to compare “active therapy” with placebo and usually included patients with more severe hypertension, as compared with modern trials. Consequently, they generated more end points and had sufficient power to be conducted on a smaller scale than modern trials high blood pressure is often called a "silent disease" because people usually don't know they have it; there may be no outward symptoms or a sign, so monitoring the blood pressure is critical. Treating high blood pressure can take a multi-pronged approach including diet changes, medication, and exercise. Hypertension treatment comes in many forms -- from lifestyle changes to medication. The mission and education of the cardiologists training is that to reduce the burden of cardiovascular disease in Europe, education is an important mean to achieve its mission. At ESC, education is the transfer of knowledge together with assessment to ascertain the breadth of knowledge and skills has been retained. In general cardiology and sub-specialties, all educational activities are mapped out on curricula. Increasingly, educational activities are organized into educational tracks leading to certification and recertification programmers (in sub-specialties of cardiology currently). Ultimately, the aim is to cater for ESC members’ lifelong learning. All ESC educational programmers are submitted to the EBAC for accreditation for development of future educational programmes. Cardiology Meetings is glad to invite you to the upcoming 4th International Conference on Hypertension & Healthcare planned to be held in the beautiful Zurich City, Switzerland during September 10-12, 2018. The conference emphasizes the theme “Control Hypertension: Add life to Longevity”. Focusing on the latest ideas and advances for hypertension treatment and management. Hypertension 2018 welcomes the innovative strategies in the area of hypertension research and also proposes a unique opportunity for the explorers from all over the world to gather, share and perceive new scientific interactions upon the various perceptions of hypertension. Conference Series Ltd organizes 600+ Conferences Every year across USA, Europe & Asia with support from 1000 more scientific societies and Publishes 400+ Open access journals which contains over 30000 eminent personalities, reputed scientists as editorial board members. Hypertension is a major risk factor for cardiovascular diseases, cerebrovascular events and ischaemic heart diseases, so is therefore one of the most important preventable causes of premature morbidity and mortality in developed and developing countries. It is often symptomless, so screening is vital before damage is done. Many surveys continue to show that hypertension remains underdiagnosed, undertreated and poorly controlled. Overall, the prevalence of hypertension (at least ≥140/90 mm Hg or on treatment) in those aged over 35 was observed to be 32% in men and 27% in women. 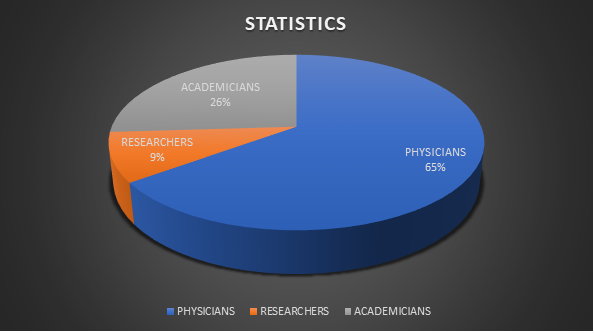 A prospective survey of patients in 20th century electrocardiography, preventive cardiology and the Framingham Study, lipid hypotheses and atherosclerosis, coronary care units, thrombolytic therapy, cardiac catheterization and coronary angiography, open-heart surgery, automatic implantable cardiac defibrillators, and coronary angioplasty. In hypertension, different changes made to the understand the basic levels of blood pressure and in the development of new diagnostic and therapeutic techniques. Hypertension 2018 is an international platform for presenting research about Hypertension and related concepts, sharing alternative ideas about the severe cardiovascular risk factor, contributing to the dissemination of information about the trouble for the welfare of the society. Zurich ability to conduct independent research is a decisive factor in boosting nation’s competitiveness. A place for conducting good research for hypertension and cardiovascular research with having institutes like European organization for nuclear research, university of Zurich, Advanced Medical Research Centres, and many more centres will come in handy. The important research conducted in Zurich is Clinical Research which includes pre-clinical and Clinical Trials. With 5% of GNP, Zurich is unique in their science and the availability of raw materials to industrial companies offers them excellent research opportunities. 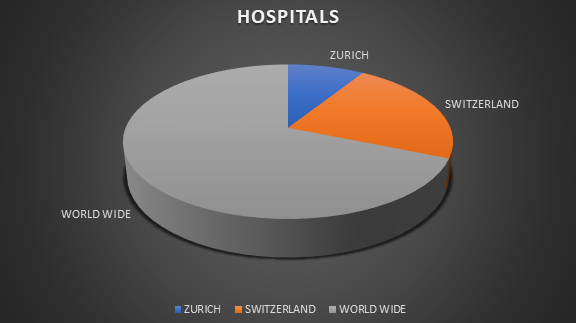 There are 582 Cardiology Specialists near and 1250 Cardiology Specialists in Switzerland and 42000 cardiology specialists in world wide. High blood pressure or hypertension is the most important risk factor for cardiovascular disease. In over 90% of cases there may be no identifiable cause of hypertension, in which case the condition is known as essential hypertension. The remaining 10% of cases, hypertension may be secondary in nature as a consequence of another medical problem, such as kidney disorders, adrenal tumours, or some drugs. 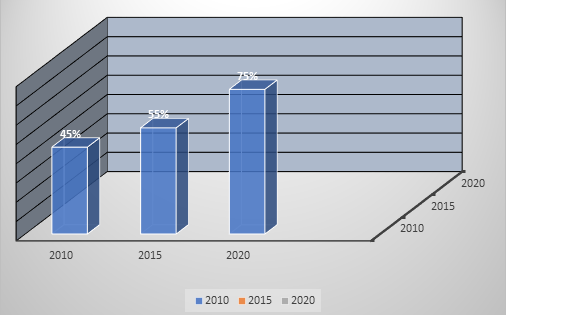 The Global Blood Pressure Monitoring Devices Market was valued at USD 2,086.6 Mn in 2017, and is expected to reach USD 3,482.4 Mn by 2025, expanding at a CAGR of 6.7% from 2017-2025.Rising prevalence of heart disorders, increasing obese population and growing geriatric population are the major factors driving the global market for blood pressure monitoring devices. North America command the biggest regional market, accounting for the market share of over half-hour in 2015, a to dominate the global blood pressure monitoring devices market during the forecast period of 2016 - 2022. Rising geriatric population in the region, susceptible for heart diseases, and higher spending for home healthcare segment together drive the North America blood pressure monitoring devices market. 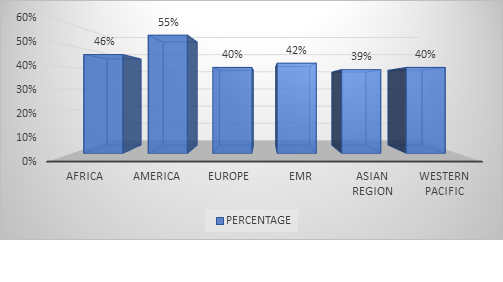 Asia Pacific is expected to grow at a highest growth rate during the focus period, due to developing healthcare infrastructure, rising awareness regarding better health among the masses and rising number of regional device manufactures driving the blood pressure monitoring devices market in the region. Among the device varieties, machine-controlled pressure level monitors is that the most generally used device in terms of revenue. Portability, ease in handling, high accuracy and value for money are the major factors driving automated blood pressure monitors market. Ambulatory blood pressure monitors is anticipated to be the fastest growing segment in the device type segment, due to the effective use in the diagnosis of white-coat hypertension and masked hypertension. Moreover, introduction of high finish ambulant pressure level monitors by leading corporations would any drive the market. FUJIFILM Medical Systems U.S.A., Inc.- latest version of Synapse Cardiovascular 6.0. The NIH (National Institute of Health) Funding Opportunity Announcement (FOA), funded by the Patient-Cantered Outcomes Research Institute (PCORI), funds up to two new patient-centred comparative effectiveness clinical trials, with the goal of comparing alternative, evidence-based ways to reduce inadequate control of hypertension and disparities in outcomes among high-risk populations, including racial/ethnic minority groups, patients with low socioeconomic status (SES), and individuals residing in rural geographical areas with an above average lifetime risk of cardiovascular disease (CVD). This initiative is supported by the Hypertension Disparities Reduction Program Partnership (HDRPP), a research partnership between NHLBI, NINDS and PCORI, with funds provided by PCORI to the NIH. 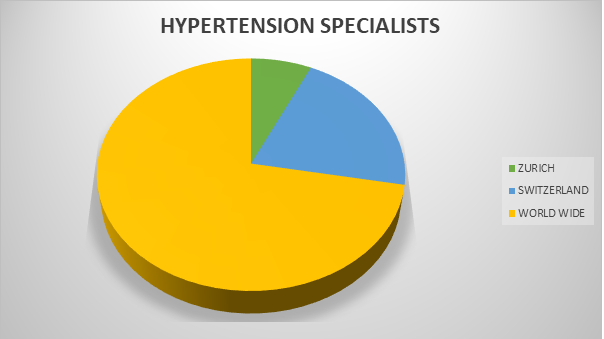 The estimated statistics of the number of physicians, academicians and researchers working upon the advancement in the treatment and management of hypertension are as described in the pie chart here in. Thanks to all of our wonderful speakers, conference attendees of Hypertension 2017 Conference were our best ever! 2nd International Conference on Hypertension & Healthcare was held during September 11-13, 2017 Amsterdam, Netherlands with the theme “New insights in diagnosis and management for hypertension”. Benevolent response and active participation from the Scientists, Doctors, Professors, Pharmaceutical Industries, Healthcare Industries, Researchers and Students from the fields of cardiology and healthcare who made this event successful. We are also obliged to various delegate experts, company representatives and other eminent personalities who supported the conference by facilitating active discussion forums at Hypertension 2017. We sincerely thank the Organizing Committee Members, Editorial Board Members of International Journals, Participants, Attendees and Media Partners for their gracious presence and generous support, without which the conference would not have reached the pinnacle of success. With the unique feedback from the conference, we would like to announce the commencement of the 4th International Conference on Hypertension & Healthcare during September 10-12, 2018 at Zurich, Switzerland.